Our employees are our biggest asset and we know that our reputation is built on the quality of the work done by our employees. Hiring the most qualified individuals is fundamental to our company. 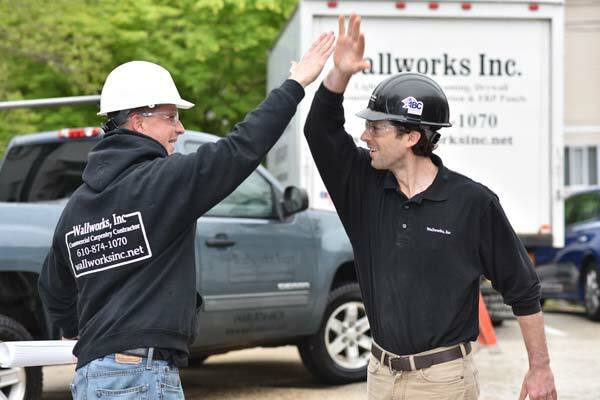 Our capable, creative and flexible employees mold Wallworks’ success. Wallworks is committed to fair employment practices and achieving diversity in its work force at all levels. It is Wallworks’ policy to comply with all national and local laws pertaining to non-discrimination and equal opportunity. Join a team that provides an exceptional pay and benefits package, combined with the opportunity to work in a challenging environment with great potential for professional growth. The first requirement for all of our employees is that they share our quest for superior performance, and you’ll find that working in such an atmosphere makes every day rewarding and fulfilling. So, if you have the right skills and the right attitude to help Wallworks serve our clients even better, please apply today. For inquiries regarding employment opportunities please contact us at: jhenzel@wallworksinc.com or fax your resume to 610-872-8590 or call 610-874-1070.